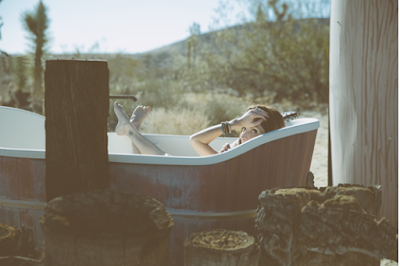 Listen to New Single "Free Song"
"Her songs are craftily constructed, with lyrics equally committed to clarity and poetry... She knows what she's doing..."
Singer-songwriter Maria Taylor has teamed up with Clash Magazine to exclusively premiere her new single "Free Song." "Free Song" is the second single to release off of Maria's upcoming album "In The Next Life." Set to release on Dec. 9, "In The Next Life" is Taylor's sixth solo effort and first release on her own label, Flower Moon Records. Maria co-produced "In The Next Life" alongside Nik Freitas (Conor Oberst and the Mystic Valley Band), which features guest vocals from Conor Oberst (Bright Eyes), Joshua Radin, Macey Taylor (Bright Eyes, Conor Oberst and the Mystic Valley Band, Jenny Lewis, AA Bondy), Jake Bellows (Neva Dinova), Louis Schefano (Remy Zero, Suspicious Light), Morgan Nagler (Whispertown), and Tiffany Osborn. Andy LeMaster and Mike Bloom lent their creative chops as well, mixing several tracks on the album. After putting out four full-length albums and two EPs as one half of Azure Ray (with co-vocalist Orenda Fink) and lending her voice, piano and drumming skills on numerous Bright Eyes records, Maria announced her solo career in 2005 - a change that would pave the way for five critically acclaimed albums and collaborations with renowned artists such as Jim Eno (Spoon), Michael Stipe (R.E.M. ), Moby, Doug Easley(Cat Power, Pavement), David Barbe (Sugar, Drive-By Truckers, Son Volt) and Crooked Fingers. As a performer, Maria has shared the stage with Ben Lee, Josh Rouse, Joshua Radin, Jason Isbell, Jim James (My Morning Jacket) and more. Over the years, fans have heard her music on TV shows such as Unforgettable, Suburgatory, Private Practice, Bones, Grey's Anatomy, Greek and One Tree Hill. "In The Next Life" is set to release on Dec. 9 via Flower Moon Records.